RPI will be host to G7® Expert & Professional training at their facility in Atlanta, Georgia. 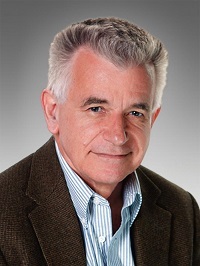 Don Hutcheson, G7 Expert Trainer and G7 Inventor, will lead this in-depth training event covering a multitude of print applications including leading digital print and proofing color management, process control, and implementation. Attendees gain a thorough knowledge of the G7 methodology through hands on practical experience, discussion, and extensive review to become as G7 Experts or G7 Professionals. G7 is Idealliance’s global industry-leading set of specifications for achieving gray balance and is the driving force for achieving visual similarity across all print processes. Hosted by RPI, a global print services leader, attend G7 Training and earn certification to serve your print supply chain.